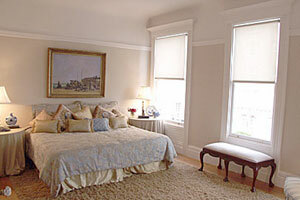 Very special Queen Anne Victorian gem, a comfortable family home. Five spacious bedrooms, dressing room (converted bedroom), 3 bathrooms, flat walk-out south garden, private 2 car garage with interior access to home. Wonderful location next to Union Street shopping & restaurants. Built in 1894, this spacious family home shows beautiful woodwork, period detail from both the 1890s and the 1920s and leaded beveled glass windows. Walk up the staircase, to the beautiful wood entryway flanked on either side by two columns, and you begin to get a taste for the beautiful period detail inside. 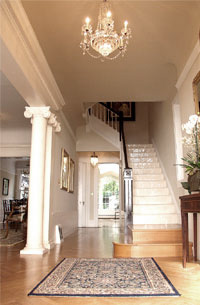 Gracious elegant entry with detailed woodwork and wood floors. This elegant entry directs the eye to the grand staircase with original leaded beveled glass window and beautiful wood detailing. 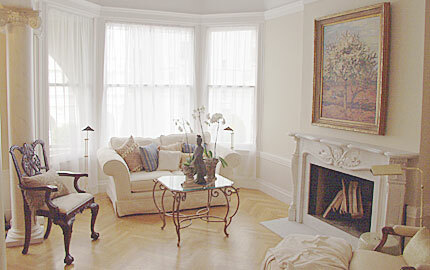 Wander into a grand living room with an elegant marble fireplace and detailed hardwood floors. The living room opens to the formal dining room that boasts a beautifully detailed original built in hutch/cabinet & greenery views. This room connects to a powder room and the kitchen/breakfast area. 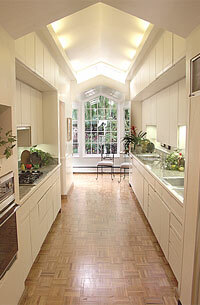 The spacious kitchen with parquet floors, has a Subzero refrigerator,gas range, good storage and amplecupboard space. The French doors off the eat-in kitchen connects to the flat south garden which is landscaped, with built-in planters, creating a sheltered sunny spot for outdoor relaxation and children play area! The staircase off the kitchen leads down to the family room, laundry room/utility room, full bathroom, and a separate side entrance, which accesses the walkway on the side of the house and the lower level. On this floor there are three spacious bedrooms that all have high ceilings and magnificent light. There is an adjoining dressing room/bedroom off the master, and a split full bath in the hallway. The 2 south-facing bedrooms overlook the garden and greenery. This level boasts an upstairs sitting room/bedroom with original woodwork. 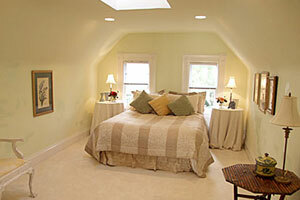 There is an additional south facing bedroom and a full bathroom on this level. 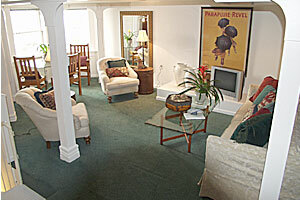 Located on the lower level is a large family room and full bathroom. There is ample storage on this level, a laundry room, a staircase entrance to the garage and a side entrance to this level. Two car side-by-side garage with interior access.